BanaBay employs recycling to prevent waste of potentially useful materials, reduce the consumption of fresh raw materials, reduce energy usage, reduce air and water pollution, by reducing the need for “conventional” waste disposal. 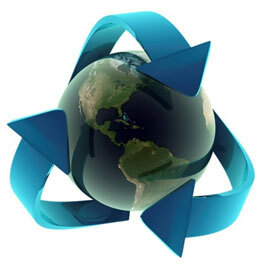 Several recycling programs in our facilities worldwide enable us to reuse and recycle waste materials whenever possible. Our employees play an important part in contributing to these efforts and participate in recycling programs such as helping to create animal feed from organic farm wastes, Recycling of Plastic Wastes, reusing banana ribbons, Recycling of Corrugated Packaging, Composting of Organic Production Wastes, as well as paper recycling in most of our offices worldwide.